Today, the town is managed by the Montana Heritage Commission, Department of Commerce, State of Montana. Businesses in the town are Alder Gulch Accommodations, Nevada City Hotel and Cabins, Just an Experience Bed and Breakfast, The Star Bakery, and the Nevada City Hotel Coffee Shop. Some of the businesses are operational year round, others are operational during the summer season. The town has been restored as an outdoor living history historical museum, linked by railroad to the Virginia City Historic District with numerous historic buildings, artifacts, and furnishings. It is owned by the State of Montana and operated by the Montana Heritage Commission, with 108 historic buildings from various places around Montana, 14 original Nevada City structures. Here's the our members favorite photos of "Towns & Villages in Madison County". 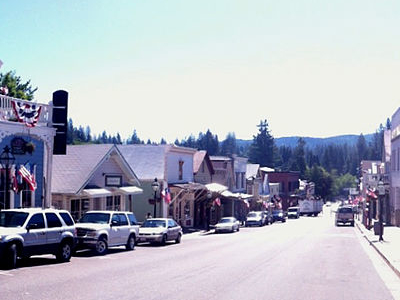 Upload your photo of Nevada City!